While it is evident that smartphone sales have been growing at a steady pace over the years, new data released by analysts has revealed that the past year saw smartphone shipments reach a record number. Global annual smartphone shipments reached 700 million units, which translates to a 43 percent growth. And overall, 1.6 billion phones were shipped. “Global smartphone shipments grew 38 percent annually from 157.0 million units in Q4 2011 to 217.0 million in Q4 2012. Global smartphone shipments for the full year reached a record 700.1 million units in 2012, increasing robustly from 490.5 million units in 2011. Global shipment growth slowed from 64 percent in 2011 to 43 percent in 2012 as penetration of smartphones began to mature in developed regions such as North America and Western Europe,” market researcher Strategy Analysts reported. 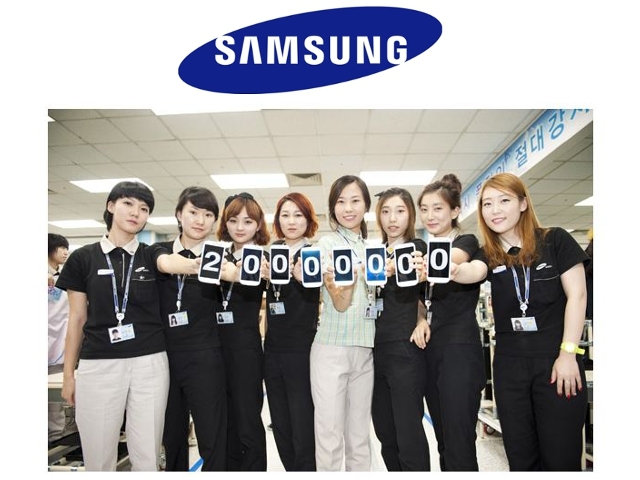 Not surprisingly, Samsung dominated the scene, with 30 percent global share, selling 213 million units globally in 2012. In doing so Samsung actually beat Nokia’s previous record of the most smartphones sold in a year, which had stood at 100.1 million units in 2010. While Samsung’s high-end flagship smartphones such as the Galaxy S III and the Note 2 delivered in developed markets, budget phones from the Galaxy Y series took care of the rest of the market. This control a over wide spectrum of market is what has enabled the South Korean giant to thrive in the business. Apple on the other hand grew financially as well, with a 46 percent growth and managed to sell 135.8 million smartphones globally. However, its global market share still remains at 19 percent. In contrast to its rival, Apple did well in developed markets, mainly in North America, while performance remained relatively poor in other parts of the world. Finally, where does that leave erstwhile market leader Nokia? Declining from a 16 percent global share in 2011 Nokia settled down at 5 percent, but still managed to maintain its position as the third largest smartphone vendor in the world in 2012, helped mostly by its Asha line of feature phones and other basic models and to a lesser extent by its new Windows Phone flagship models.